This holiday Advent calendar features a snowy winter scene. Open the doors to hear music and watch the figures move. 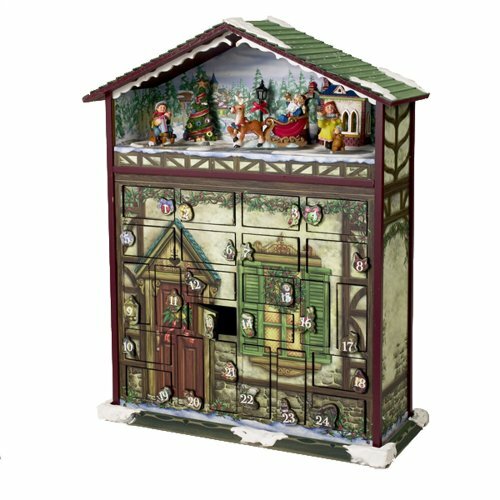 This Advent calendar is battery-operated (batteries not included).